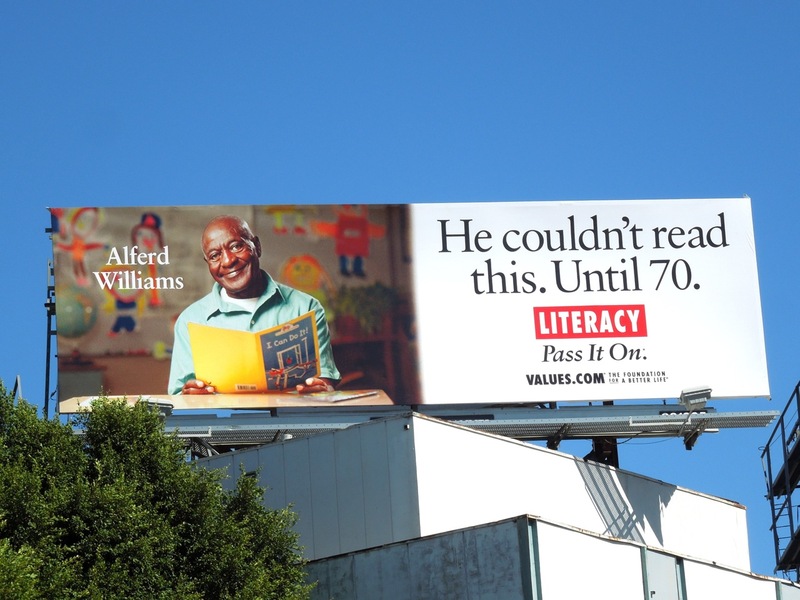 If you're looking for some motivation to get out a do something incredible this weekend, maybe these billboards from The Foundation for a Better Life will be able to inspire you. Daily Billboard has already showcased some other ads from this non-profit organisation's positive behavioural 'values' campaign, like their Kermit the Frog Live your Dreams billboard and Mona Lisa Smile billboard, but here are more of their uplifting creatives. 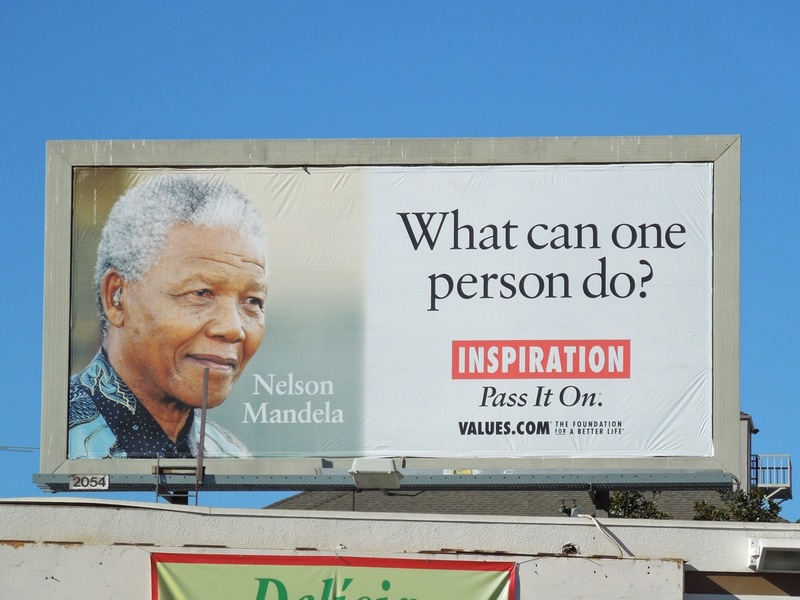 The inspirational campaign uses an assortment of familiar modern day heroes and celebrities, famous personalities from history and everyday individuals to help convey their endearing and worthwhile 'Pass It On' message. 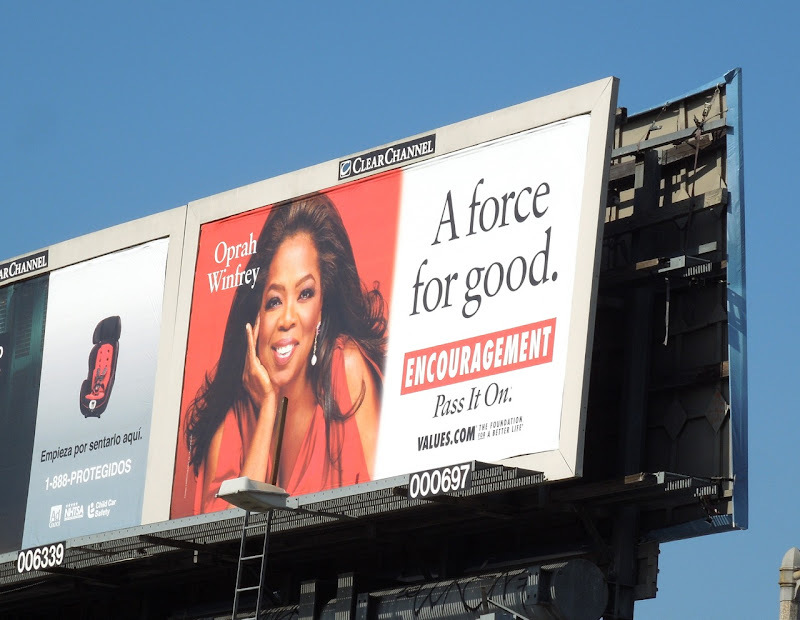 The 'Literacy', Oprah Winfrey, Nelson Mandela and Mozart billboards were snapped around the streets of Los Angeles in October and November 2012 including along Beverly Boulevard, Cahuenga Bouelvard, La Brea Avenue and Pico Boulevard. 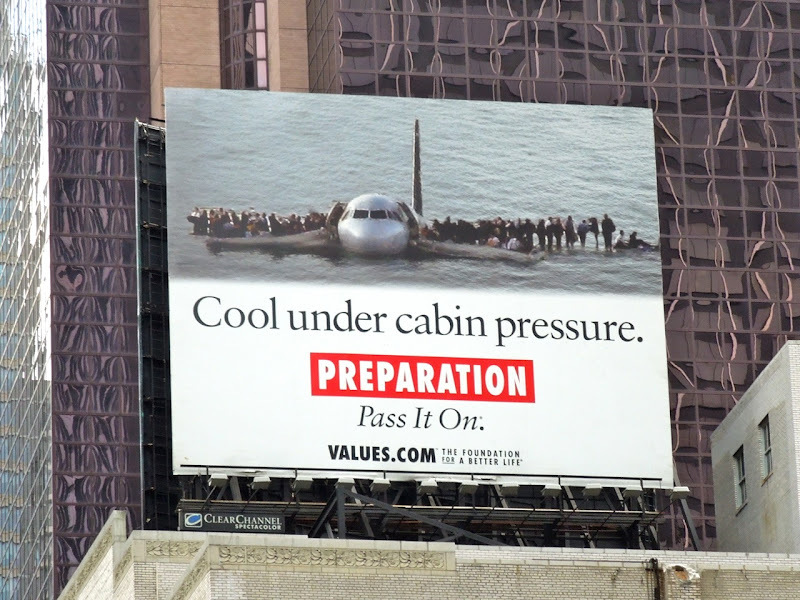 The 'Sportsmanship' and 'Preparation' creatives were spied in New York's Times Square in November 2011 and August 2012, respectively. 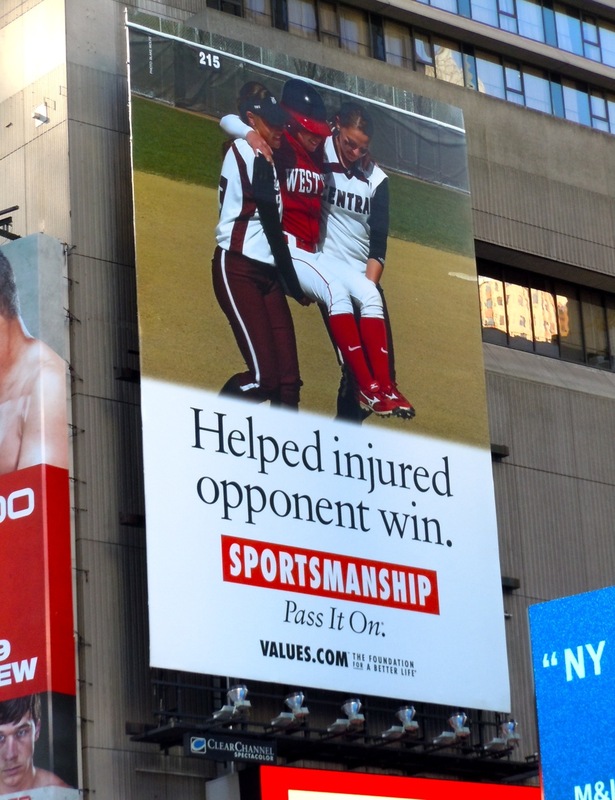 It really is nice to see some advertising that's not trying to sell you anything, but wants to inspire a nicer way of life. Let's all try and pass it on. 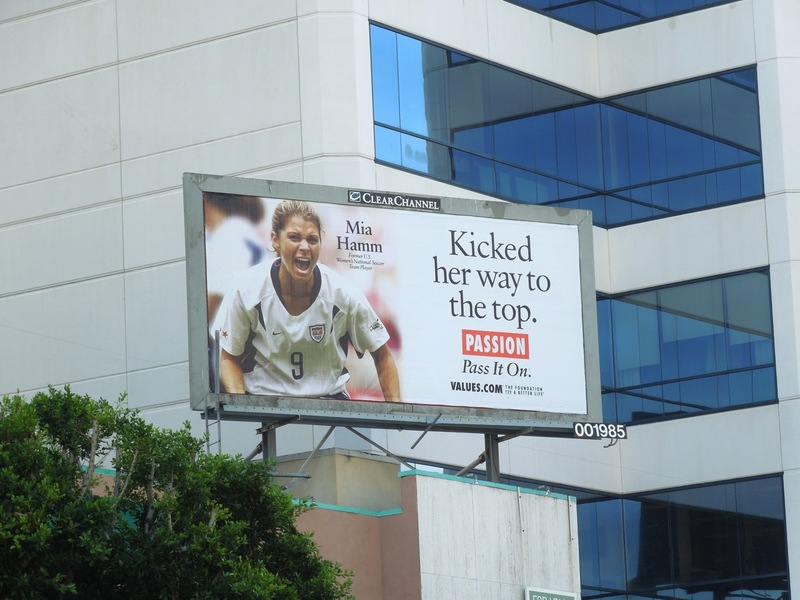 UPDATED: Here's another creative from the campaign featuring women's professional soccer star Mia Hamm representing 'Passion' for sport (and life), which was spotted along L.A.'s Wilshire Boulevard on December 5, 2012. 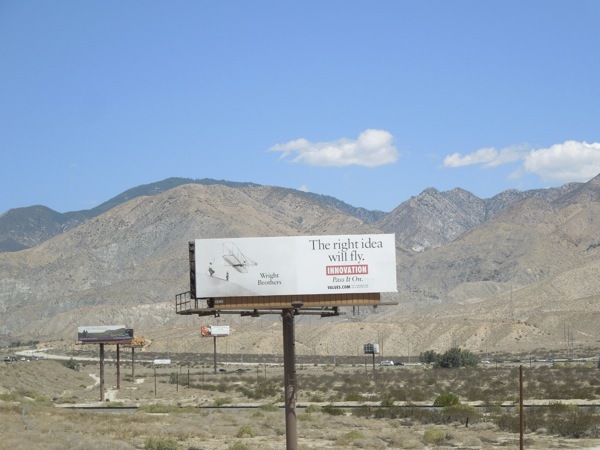 UPDATED: Driving back from Palm Springs, California, Daily Billboard spied this inspiring Wright Brothers airplane creative representing 'Innovation' on July 7, 2013. 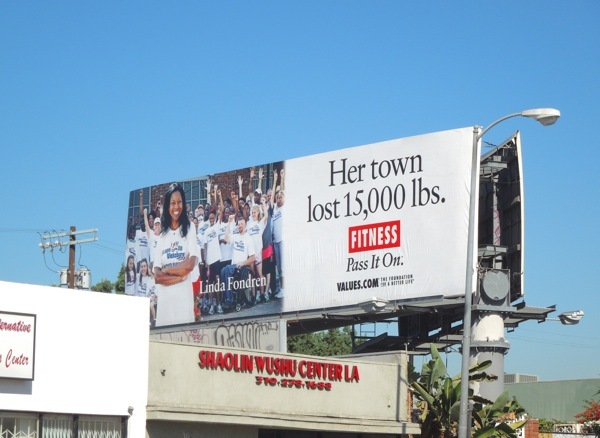 UPDATED: Here are several other ad creatives from this uplifting campaign, including this Linda Fondren 'Fitness' billboard which was spied along La Cienega Boulevard in September 2014. 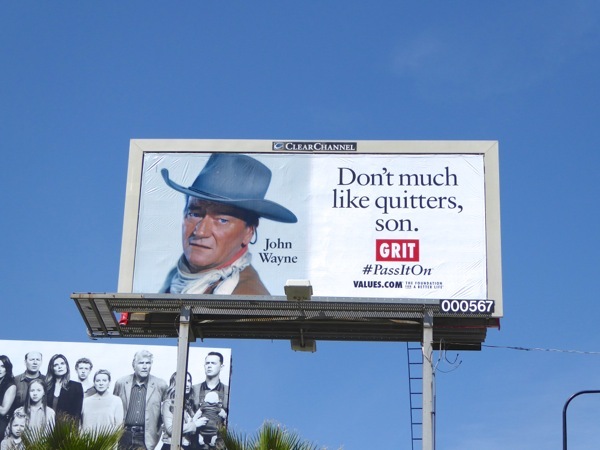 And finally this smaller John Wayne 'Grit' billboard was spotted along Highland Avenue on August 28, 2015. 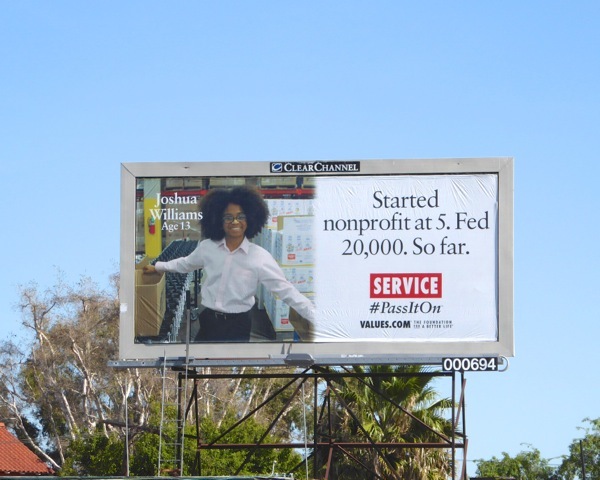 UPDATED: The outdoor campaign continues with this 'Service' ad creative featuring young nonprofit entrepreneur Joshua Williams, spotted along La Brea Avenue on February 24, 2016. 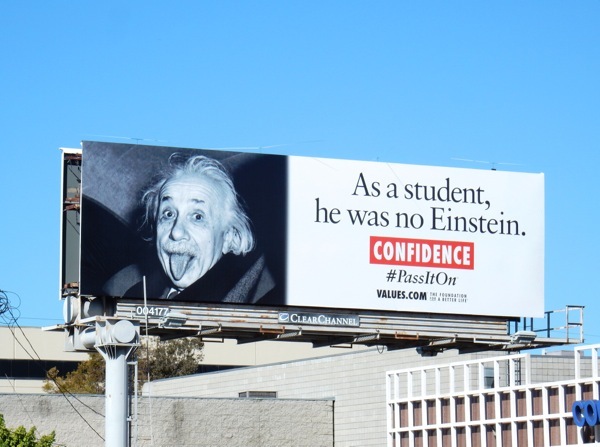 UPDATED: This outdoor campaign really uses a mix of normal people and historic figures, and here's another fun creative featuring Albert Einstein for 'Confidence' along Olympic Boulevard on the westside on April 16, 2016. 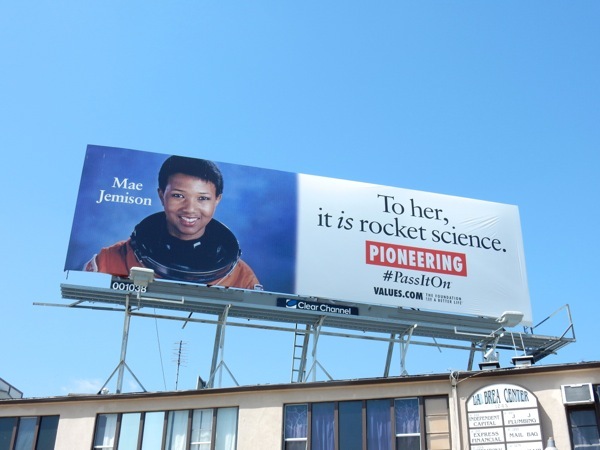 Plus here's another inspirational Values billboard featuring doctor and NASA Astronaut Mae Jenison, the first African-American woman to travel in space aboard the Space Shuttle Endeavour on September 12, 1992. 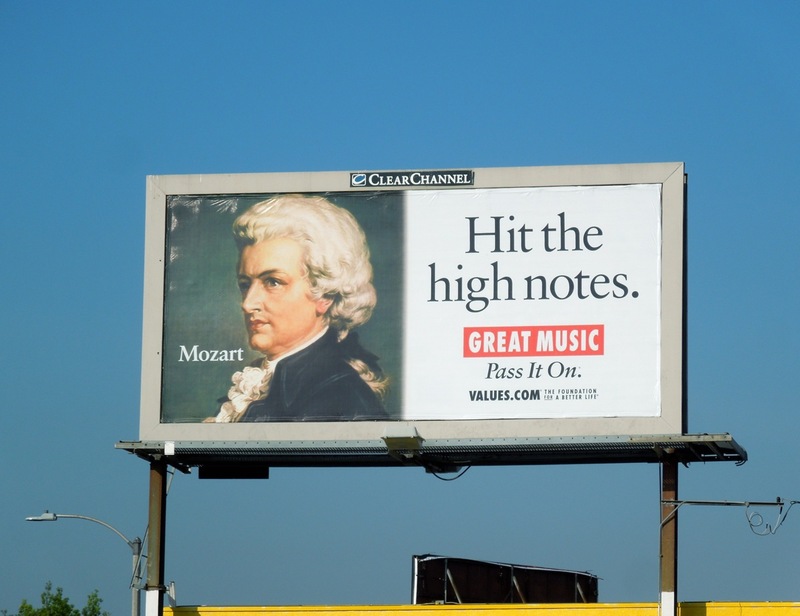 This cool Pioneering billboard was snapped along La Brea Avenue on April 27, 2016.